There are so many kinds of art, hell, everything is an art, however, I have categorized them into different fields. Paintings – the art of painting is kinda foreign to the Sagadians, good thing, we were blessed to have some residents who could have possibly introduced or influenced the local artists. Mr. Borja – He is a respectful artist in many fields, such is canvas painting. He also does shirt printing and ethnic interior designs for house holds. Mr. and Mrs. Memra – I’ve only known this guy to be music artist but he also does shirt and canvas painting and any other kinds of painting including huge walls and streamers. Mr. Tommy Hafalla– the only photographer that I know is. 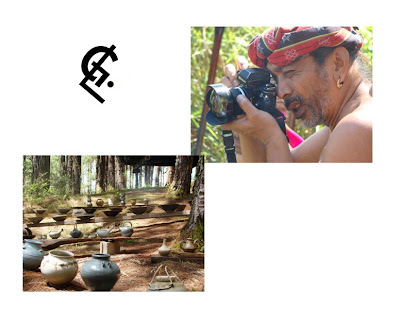 Since I grew up, I saw this guy photographing culture at work not only in Sagada but the entire Mountain regions or the North. He is a master of Black and White Photography. He also conducts trainings for the locals, teaching them not just taking photographs but developing their own films as well. .
Gareth the Great – not to be out done my self, I can safely say that I exert the most effort in underground photography. As a cave explorer, I take time to practice taking photographs with limited light source. I conduct basic trainings for my co-guides, enabling them to produce great photos for their clients. 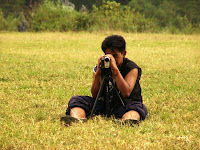 David Fowler – a local of Sagada from Britain is the only person I know who documents most of the communities events. Jaime Capuyan – This native of Sagada carves door and other flat surfaces of the wood into master pieces. Conway Omaweng – during my child hood days, I can still remember my uncle smoking his wood carvings at “maidapeng.” His creations are displayed either in their house or at Bilig café. oh yes locals like mr. fowler's documentaries he is so professional. he does it as a hobby. does it for his friends for FREE! but ended up having to charge a little just to pay for municipal tax! it is good way to preserve traditional events, sadly no local is doing it!hhmmmm! thanks David! oh why the agressive reaction brother?..mind you siya lang kilala ko na nagsettle at madaming contributions sa lokalidad ng sagada.ung iba illegal na nga,puro bussiness pa ginagawa.